Bahrain’s national pavilion opened at the Gulfood 2018with the participation of 14 Bahraini food companies, along with some 5,000 regional and international companies participating in the exhibition, the largest of its kind in the world and continuing through February 22 at the Dubai World Trade Center. The Kingdom of Bahrain participating in Gulfood this year alongside the pavilions of major countries such as the United States, China and Saudi Arabia, as well as countries that are participating for the first time, including Estonia, Serbia, Slovakia and Tajikistan. The Bahrain National Pavilion at Gulfood this year includes Trafco Group, Awal Dairy, The Food Supply Company (FOOSCO), Chocolate & Co, Deeko Bahrain, Bin Mahmood Holdings. There are more 8 Startups companies : Gahwah 360, Perfectly Pressed, Silver Tea Leaf, Reem Express, Ritaj Mini Market, Komachi Bakery, Green Path and BARE Chocolates. The eight startups companies are supported by the Tamkeen Labor Fund. With cooperation with ALWANI society. The Bahrain National Pavilion at Gulfood is organized by WorkSmart for the fifth consecutive year. 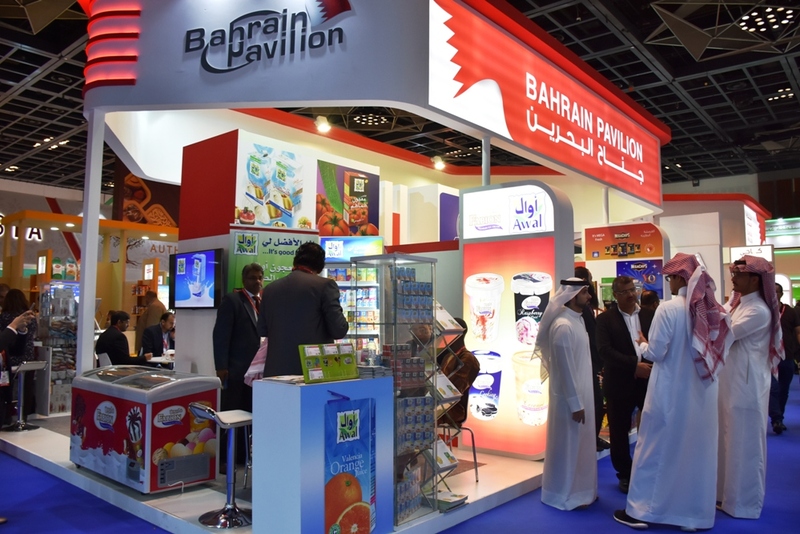 Bahrain’s national pavilion at Gulfood seeks to attract visits from selected national dignitaries from presidents, ministers, government officials and industry leaders from many countries, all seeking opportunities for rewarding partnerships. 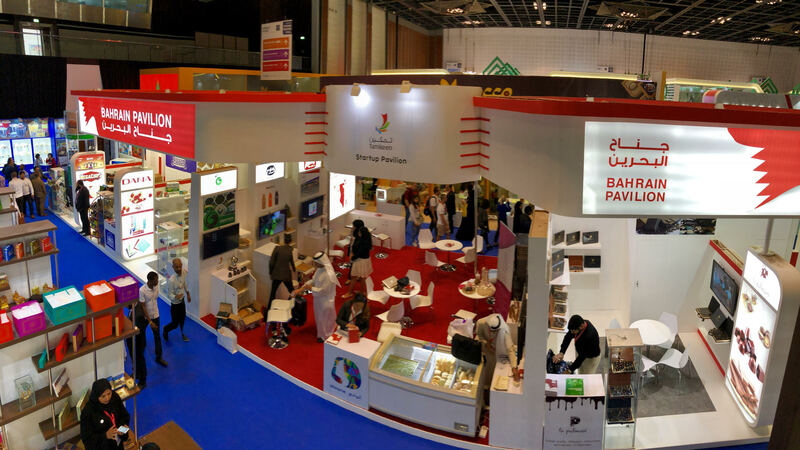 The Bahraini food companies are highlighting their food, beverage, health and wellness products, meat and poultry, milk and dairy products, and global food. 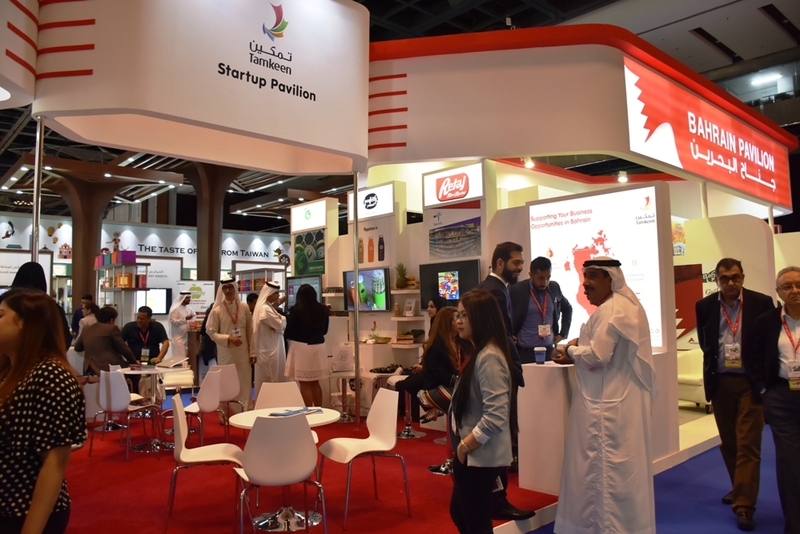 They are looking to find regional and international markets for their products and are looking for commercial agencies from Gulfood, As a gateway to enter the regional market. They are also exploring new markets for their products across the Middle East and entering into more fruitful companies with exporters, suppliers, customers and all those involved in the food and hospitality industry. This will contribute to enhancing national investment in this multi-billion dollar global sector, A wide growth in the participation of participants contributes to the acceleration of local and regional growth rates in the food and beverage supply and processing, packaging, hotel and restaurant equipment and others. Bahraini companies in Gulfood are also seeking to participate in the event, including the Halal Food World, the world’s largest annual Halal products fair, the annual Saloon Colliner, organized by the UAE Chefs Association, as well as the world’s largest chef competition. The Gulf Innovation Awards, which honors excellence and innovation in the regional food and beverage sector. Bahrain’s national pavilion at Gulfood will be following this year’s significant modernization process, which includes the design and design of the exhibition, as well as the visitors’ experience of a new era of the pioneering exhibition, which was first launched in Dubai in 1987. The 23rd edition of Gulfood is expected to attract more than 5,000 exhibitors and 120 national pavilions, as well as the presence of hundreds of presidents, ministers, government officials and industry leaders from many countries. All researchers are looking for opportunities to enter into rewarding partnerships, Thousands of visitors.